At Topp Care, our warm and friendly US Trichology Institute Certified Specialists are always ready to address your hair needs and help you achieve your hair goals. When you choose Topp Care, you are safe in the hands of professional specialists who have more than a decade of industry experience. The Topp Care team believes in excellence and we are extremely passionate about helping customers to feel and look their best – that’s why our loyal customers always recommend us to their family and friends. Good hair health is crucial to looking and feeling good and hair issues such as hair loss can often take a toll on your confidence and emotional wellbeing. We aim to provide you with the best treatment options possible for your individual hair concerns so that you can be healthy and confident in your own skin. The Topp Care experience is one that is unrivalled; we will do our best to help you walk away not only with a thicker and healthier hair but a strong, newfound sense of self. At Topp Care, we believe in using only the best ingredients to ensure the best results for our customers. Our treatments incorporate natural Western Botanicals ingredients such as thymus serpillum, horse chestnuts, maidenhair fern, almond oil, horsetail and thuja orientalis. These natural, safe and effective ingredients are all extremely gentle on the scalp, helping to treat and improve hair health in the safest way possible. Topp Care treatments focus on natural ingredients as products with harsh chemicals can end up doing more harm than good. The suitability of all our products have been tested and certified safe. Thinning and greying hair is often associated with aging and loss of health. Specially formulated to target greying and thinning hair, Topp Care’s very own Signature Absolutte Masque Hair Treatment is its first of its kind of hair treatment that contains a Dual Effect benefits to your hair. It helps to counteract age-related hair changes and reverse the symptoms of grey hair while providing essential nutrients for hair loss prevention. This treatment also cleanses the scalp and follicles of impurities, and activates scalp cells so as to prevent premature aging and restore moisture in the scalp and hair follicles. People as young as 15 years old, tend to face different hair issues and Topp Care provides a solution for everyone: using natural Western Botanicals ingredients such as Saw Palmetto, Almond oil and Jojoba oil to create a variety of customised masques to target individual hair concerns. The result is naturally thicker and darker hair so that everyone, be it young or old, can look and feel great. At Topp Care, we understand that hair loss is a serious concern for many; it can take a major toll on your confidence and self-esteem and even cause emotional issues such as depression and anxiety. If you are struggling with hair loss, you don’t need to hide away anymore – come down to Topp Care and we will help you restore both your hair and your confidence so you can be the best version of yourself. Suitable for all scalp conditions, Topp Care’s Healthy Scalp Treatment helps prevent hair loss and supports regenerative functions to promote hair growth. The benefits of this treatment include gentle cleansing, eliminating bacteria and slowing down sebum production. This treatment promotes blood circulation and therefore also helps to fortify and thicken hair. The result is a refined and revitalised scalp along with stronger and healthier hair. Poor scalp health is another major concern that many face. Just like other skin conditions, having dandruff or an oily scalp can lead to low self-esteem. In many cases, dandruff is viewed as a sign of poor hygiene and grooming. People who suffer from dandruff therefore tend to feel extremely embarrassed by their condition. Dandruff can affect your self-image and hinder you from participating in social activities, causing further anxiety and emotional pain. Topp Care’s Detoxdren Scalp Masque is the perfect solution for those prone to dandruff and oily scalps. This is an intensive treatment that nourishes your hair and scalp with yeast, moisturizing hair shafts, protecting the scalp from harmful UV radiation and stimulating collagen production. The Horse Chestnut used in this treatment also promotes blood circulation which is beneficial for strengthening and thickening hair. With even just one session, the excessive oiliness on your scalp will become more balanced, leaving you with a calm scalp. Your hair follicles will also be strengthened and the result is healthier, shinier hair that you can be proud of. You no longer have to feel embarrassed and can step out of your house with confidence again. Anyone who’s had a bad hair day knows just how much it can affect your mood and instantly turn a good day into a bad one. Research shows that hair quality is directly linked to confidence – people feel much better about themselves when they have a healthy and luscious head of hair. Dull and brittle hair just won’t cut it. Topp Care’s Energizing Scalp Masque may be just what you need to help you revitalize and rejuvenate your locks. Enriched with a high concentration of vitamins and antioxidants from ingredients such as Citric Acid and Thymus Serpillum Leaf Extract, this treatment not only nourishes the hair deeply but strengthens and invigorates both the scalp and hair. The result is healthy, shiny, confidence-boosting hair. No more bad days! It is hard to come by people with hair that has not been chemically treated in some form or another. Most of us have had at least one chemical treatment performed on our hair, maybe some highlights or even a perm, and putting your hair through that kind of stress can damage it more than you know. If you have coloured your hair before or subjected your hair to other chemical services, it is highly likely that the exposure to chemicals has taken a toll on your once luscious locks, making it weaker. 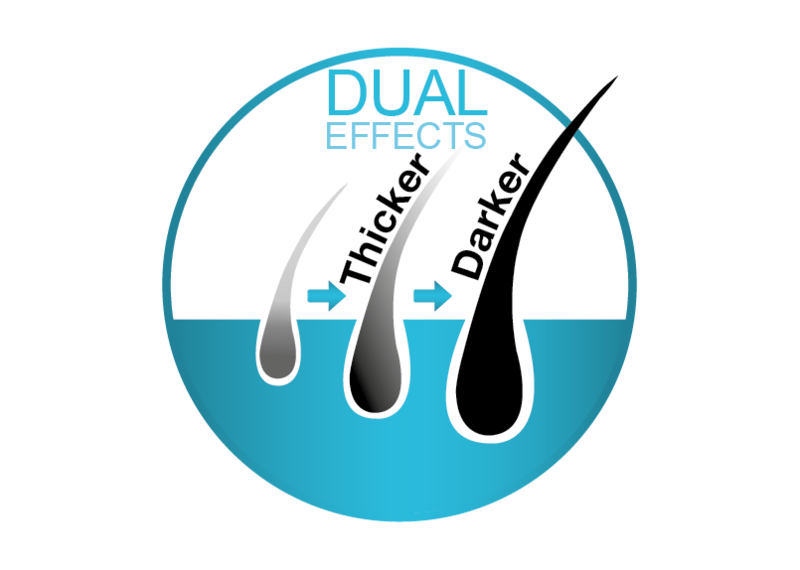 Chemically treated hair can become dry and brittle and it is important to tend to this damage. Topp Care’s Hair Spa is perfect for this, helping to protect and soothe damaged hair using the finest plant extracts so that your hair can be restored to its tip top condition. If your hair has been looking lackluster and just not at its best, you might want to consider Topp Care’s Regenerating Scalp Treatment. This treatment uses Ginseng – an ingredient known for its ability to stimulate hair growth and reduce hair loss. Just one session of this treatment with the Ginseng Root Extract Regeneration Hair Essence can help to reinvigorate your hair and scalp. A clean and healthy scalp can help you boost your image and change the way you look at yourself. Good hair is truly one of your best assets you can have and it is the key to helping you feel comfortable in your own skin. Reinvent yourself and inject new life into your hair through Topp Care’s hair colouring services. Customers who desire a refreshed and vibrant look can choose from a wide range of updated shades of black, brown and red to match their style and personality. Whether you’re looking to change up your style or cover those pesky greys, Topp Care provides services for every hair colouring need.